Judy Ann Zimmer was welcomed into Heaven by her Lord and Savior Jesus on April 4, 2019. Judy was born on October 28, 1935 in Covington Kentucky, to Ed and Bennetta Metz. She along with her four sisters and one brother, grew up in Fort Mitchell, Kentucky, where their father owned a restaurant and bred race horses. Judy graduated from Villa Madonna Catholic High School in Crescent Springs, Kentucky. Later in life she went back to school and received a BA in Human Development from Pacific Oaks in Pasadena, CA. In 1957 she married her hometown sweetheart, James Warren Zimmer, an officer in the Air Force. They were stationed in many places and moved to Vandenberg AFB in 1974 and eventually settled in Santa Maria in 1980. Judy had a love and affinity for children. Although doctors advised not to have children due to her heart condition from rheumatic fever, she went on to have five sons and one daughter. After the majority of her children were grown, she opened a successful and popular home day care center called Cuddle Care. For over 15 years, she lovingly cared for and impacted the lives of many infants, toddlers and their families. Judy went on to be a volunteer “cuddler” for newborn babies at Marian Medical Center for several years. Judy loved her children and all the family get togethers. She always made her presence known with her free and joyful spirit. She got this joyful, loving spirt from her “best friend” Jesus where it seemed she had a direct line with Him. She would often say she was praying for you, and when she did, you definitely felt a powerful covering. Judy is survived by her sisters, Phyllis Popham, Peggy Eckard, Linda Benzinger and brother, Bob Metz. She is predeceased by her sister, Marilyn Menne and her ex-husband, Lt. Col James Zimmer. 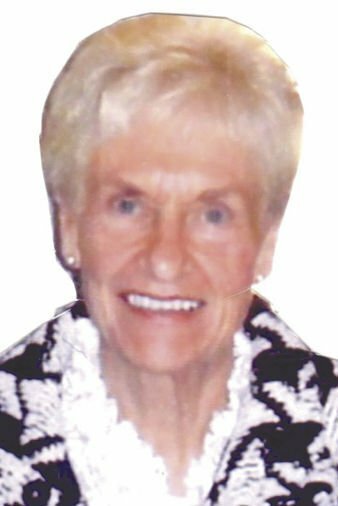 Judy will be deeply missed by her six children, Jay (Pam), Jeff (Nancy), Brett (Karen), Bryan (Diane), Nanci Carignan (Mike) and Mark (Sherry), along with 18 grandchildren and eight great grandchildren. Judy touched many lives with her love for God, her love for her family and her love for life! A celebration of Judy‘s life will be held on Friday, May 10th, at 10:00a.m. with a memorial mass at St. Louis de Montfort. A graveside burial will follow, officiated by Pastor Jim Larrabee of First Christian Church, followed by a reception at Quail Meadows West Club House. In lieu of flowers, please consider making a donation to Free Wheelchair Mission, in memory of Judy Zimmer and in honor of her grandson, Austin Zimmer.